By now, you have probably heard about "The Cloud" in some form or another. Essentially when people talk about the cloud, they are referring to servers that are housed in large datacenters connected to the Internet. The business case for cloud computing is to eliminate the costs associated with purchasing, maintaining and supporting your own systems. 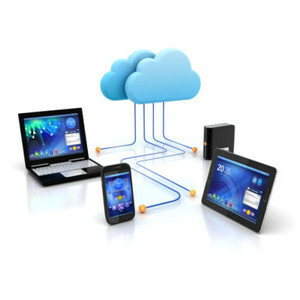 A simple example of utilizing cloud computing in your organization would be in the area of email. Most organizations rely very heavily on email as a communication and collaboration tool; however, managing your own email server can be a very challenging task. If you have an email server on site, chances are that you have experienced many annoying downtimes related to hardware problems, configuration problems or mail server blacklist issues. When your email server is down, everyone is at a stand still until the problem is resolved. Email has also become more complicated given the diversity of devices that must now connect to the email server. By moving your email service to the cloud, you can eliminate the headaches associated with trying to run your own mail server, as well as the cost of running and maintaining your own hardware. If you have been using a third party to provide email services to your organization such as your Internet provider, you can gain added functionality by moving those email services to the cloud as well. Insight Hosting provides email cloud services using the Office 365 cloud platform. We can assist your organization with the migration process from your existing email setup to the Office 365 platform. Once you are setup in the cloud you no longer have to worry about maintaining your own hardware. The Office 365 platform provides the added benefit of synchronizing all of your devices. For example, if you reply to an email on your smartphone, that email will also appear in the sent items on your computer and tablet. The cloud makes it easier to setup your devices with an autodiscover service. When you are setting up a new device you typically just have to enter your email address and password, and everything else will be configured for you. Cloud based email using Office 365 also allows you to share your calendar with others in your organization, and includes a built in chat function for collaboration with colleagues. Perhaps one of the best features of cloud based email is the vast support it offers for almost every device out there, and it also provides an excellent webmail experience if you need to access your email through a web browser or if you simply don't want to install a desktop mail client. Do you want to eliminate your on-site email server? Is your current email setup constantly going down? Are you having trouble emailing certain recipients? Do you want to synchronize your calendars, tasks, contacts and email across all of your devices? Do you want to be able to send very large emails / very large attachments? Do you want to be able to easily administer the email setup for your whole organization? Do you want to eliminate the frustration involved in setting up new email accounts / devices? If you answered Yes to any of these questions, cloud based email may be the answer for your organization. For more details on the features included with the Office 365 cloud email service view our email hosting page. If you have questions about moving your current email service to the cloud, don't hesitate to contact us.